A unique partner mat and aerial yoga class is being offered in time for Valentine’s Day. 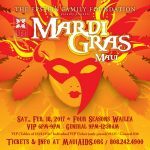 Uplift Maui, a fitness and wellness provider, hosts the Love is in the Air couples’ specialty class from 5:30 to 6:45 p.m. on Monday, Feb. 13, at Hotel Wailea, Relais & Château. 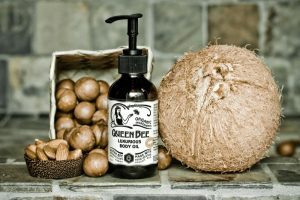 In addition to the class, guests can enjoy “aphrodisiac mocktails” and all natural, Lover’s Kit by local company Queen Bee Maui. Couples will explore a deeper connection through weight sharing and supportive postures using aerial silks suspended from the ceiling as well as yoga mats. This class includes a ‘Lover’s Kit’ by Queen Bee Maui and two aphrodisiac ‘mocktails’ ($125 per couple). The Queen Bee Maui ‘Lover’s Kit’ includes a love potion aphrodisiac tincture, warming and cooling personal lubricants and a fragrant lover’s spark candle. All products are 100% natural and locally made ($49.99 value). Couples may register for the class without the ‘Lover’s Kit’ as well ($85 per couple). Pre-registration is required and available online. 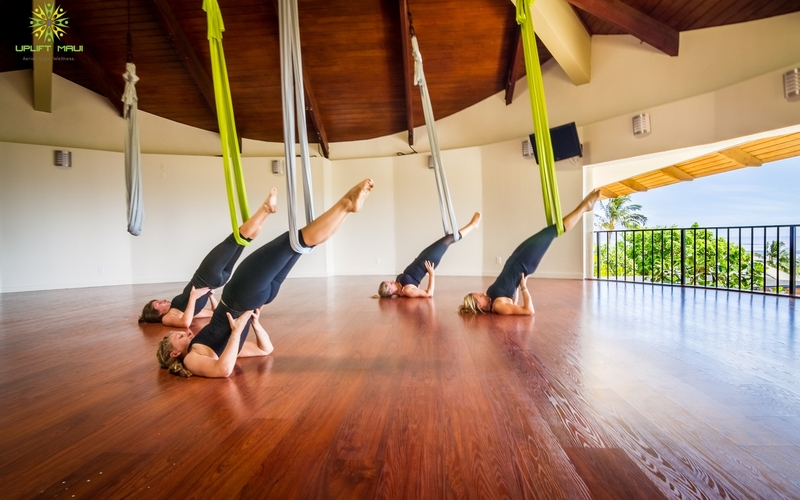 Through unique movement such as aerial yoga, aerial dance, as well as yoga and other forms of fitness and nutrition, Uplift Maui seeks to provide holistic healing for the body, mind, and spirit. Weekly classes available at Hotel Wailea, Relais & Châteaux. Package discounts are available as are Kamaʻāina rates and specials.